Pennsylvania College of Technology recommends that students exhaust all other methods of financing their education before applying for private alternative loans. To comply with the 2008 Higher Education Opportunity Act (enacted August 14, 2008) Penn College adopts the following Student Loan Code of Conduct to serve as the formal guiding principles in insuring the integrity of the student aid process and ethical conduct of Penn College employees in regard to student loan practices. The term "revenue-sharing arrangement" means an arrangement between an institution and a lender which – (i) a lender provides or issues a loan that is made, insured, or guaranteed to students under the Higher Education Act attending the institution or to the families of such students; and (ii) the institution recommends the lender or the loan products of the lender and in exchange, the lender pays a fee or provides other material benefits, including revenue or profit sharing, to the institution, an officer or employee of the institution. Pennsylvania College of Technology and its employees will not enter into any type of revenue-sharing arrangement with any lender, guarantor or servicer. Pennsylvania College of Technology does not provide students a preferred lender list from which to select a lender for a private student loan. All loans are processed without regard to lender or mode of transmission (i.e., electronic or paper). Pennsylvania College of Technology will neither recommend a private loan lender nor accept material benefits including revenue or profit-sharing to the institution, an officer, or an employee of the institution or an agent. Employees of the Financial Aid Office are prohibited from soliciting or accepting any gift from a lender, guarantor, or servicer of education loans. Gifts include any gratuity, favor, discount, entertainment, hospitality, loan or other item. This includes a gift of services, transportation, lodging, or meals, whether provided in kind, by purchase of a ticket, payment in advance, or reimbursement after the expense has incurred. Gifts to family members of a Pennsylvania College of Technology employee are considered to be a gift to the employee if the gift is given with the knowledge and consent of the employee and there is reason to believe the gift was given because of the official position of that employee. Employees of the Financial Aid Office shall not accept from any lender or affiliate of any lender any fee, payment, or other financial benefit (including opportunity to purchase stock) as compensation for any consulting arrangement or other contract to provide services to a lender or on behalf of a lender relating to education loans. Pennsylvania College of Technology participates in the William D. Ford Federal Direct Loan Program which provides student and parent loans through the U.S. Department of Education. Pennsylvania College of Technology will not produce a preferred lender list that gives any lender an advantage in securing business from Pennsylvania College of Technology students. Penn College uses ELMSelect as a starting point for students and their families to begin researching private loans. Penn College Office of Financial Aid does not endorse any lender presented and has not ranked the lenders by any established measure. The list of lenders serves only as a general guide to assist student borrowers with educational funding options to fulfill their educational goals. The lenders appear on ELMSelect based on their quality of products and the services they provide to borrowers. A student borrower may select any lender and is not restricted to the lenders presented on ELMSelect. Pennsylvania College of Technology will not assign a borrower's private student loan to a particular lender; all decisions will be made by the borrower in his/her independent review of borrower benefits and lender services. Pennsylvania College of Technology will not refuse to certify, or delay certification of, any loan based on the borrower's selection of a particular lender or guaranty agency. 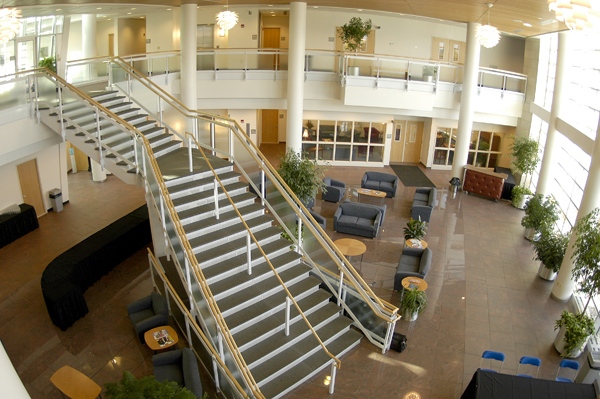 Pennsylvania College of Technology will not request or accept from any lender any offer of funds to be used for private education loans (defined in section 140 of the Truth in Lending Act) including funds for an opportunity pool loan in exchange for Pennsylvania College of Technology providing concessions or promises regarding providing the lender with a specified number of loans made, insured or guaranteed; a specified loan volume of such loans; or a preferred lender arrangement for such loans. Pennsylvania College of Technology will not request or accept from any lender, guarantor, or servicer of student loans any assistance with call center staffing or Financial Aid Office staffing. Employees of the Financial Aid Office who serve on an advisory board, commission, or group established by a lender, guarantor, or group of lenders or guarantors, are prohibited from receiving anything of value from the lender, guarantor, or group of lenders or guarantors, except that the employee may be reimbursed for reasonable expenses incurred in serving on such advisory board, commission, or group.